Learn how to write an iOS app that uses Node.js and MongoDB for its back end. Welcome back to the second part of this two-part tutorial series on creating an iOS app with a Node.js and MongoDB back-end. 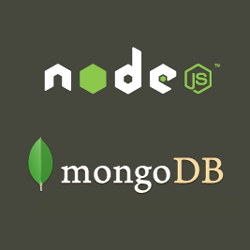 In the first part of this series, you created a simple Node.js server to expose MongoDB through a REST API. 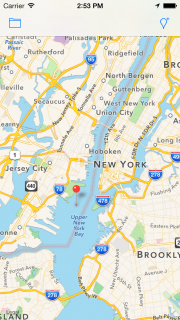 In this second and final part of the series, you’ll create a fun iPhone application that lets users tag interesting places near them so other users can discover them. As part of this process you’ll take the starter app provided and add several things: a networking layer using NSURLSession, support for geo queries and the ability to store images on the backend. First things first: download the starter project and extract it to a convenient location on your system. TourMyTown contains the starter Xcode project with the UI pre-built, but no networking code added yet. Users add new location markers to the app along with descriptions, categories and pictures. 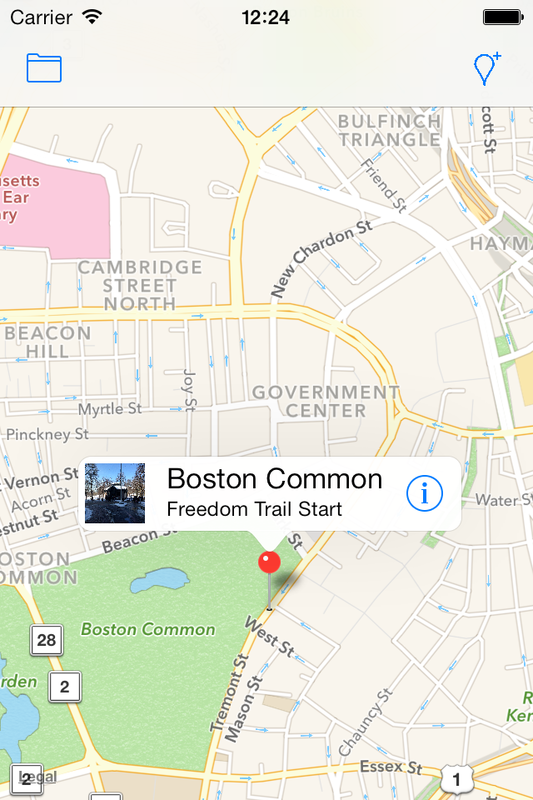 The Add button places a marker at the center of the map, and the user can drag the marker to the desired location. Alternatively, a tap and hold places a marker at the selected location. The view delegate uses Core Location’s geo coder functionality to look up the address and place name of the location, if it’s available. Tapping the Info button on the annotation view presents the detail editing screen. The app saves all data to the backend so that it can be recalled in future sessions. The map with an annotation. 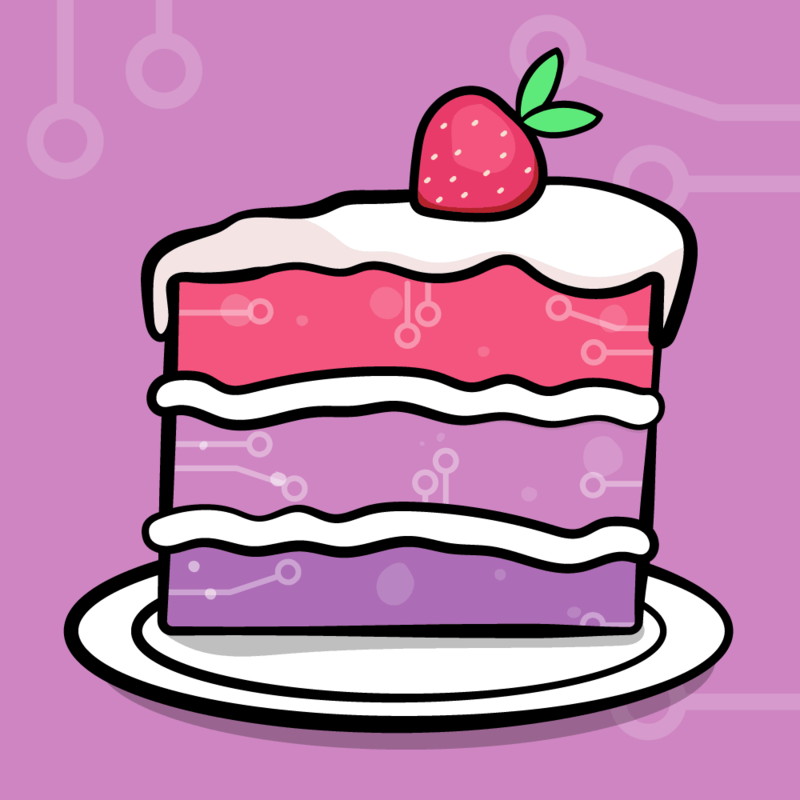 You’ve got a lot of work to do to transition the app to this state, so let’s get coding! If you didn’t complete the first part of this tutorial or don’t want to use your existing project, you can use the files contained in the server directory as a starting point. The following instructions take you through setting up your Node.js instance; if you already have your working instance from Part 1 of this tutorial then feel free to skip straight to the next section. Open Terminal and navigate to the MongoDB install directory — likely /usr/local/opt/mongodb/ but this may be slightly different on your system. This reads the package.json file and installs the dependencies for your new server code. Note: The starter project is configured to connect to localhost, port 3000. This is fine when you’re running the app locally on your simulator, but if you want to deploy the app to a physical device you’ll have to change localhost to <mac-name>.local if your Mac and iOS device are on the same network. If they’re not on the same network, then you’ll need to set it to the IP address of your machine. You’ll find these values near the top of Locations.m. 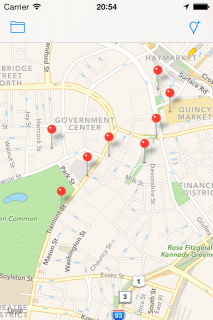 Holds the location’s data, including its coordinates, description, and categories. Knows how to serialize and deserialize the object to a JSON-compatible NSDictionary. 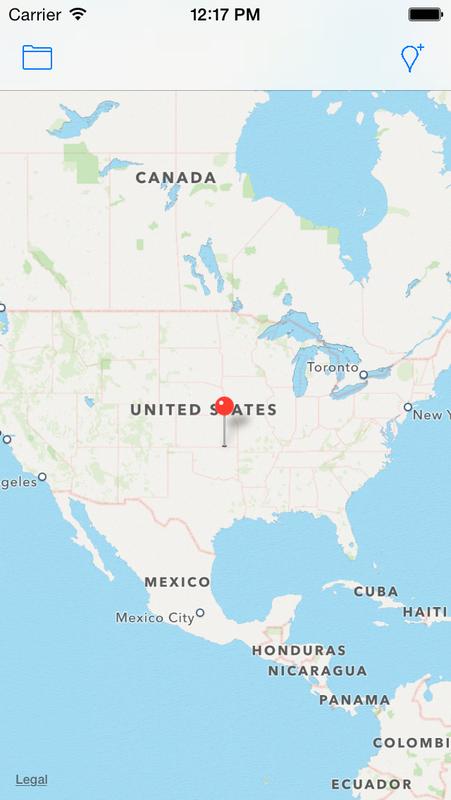 Conforms to the MKAnnotation protocol so it can be placed on an instance of MKMapView as a pin. Has zero or more categories as defined in Categories.m. 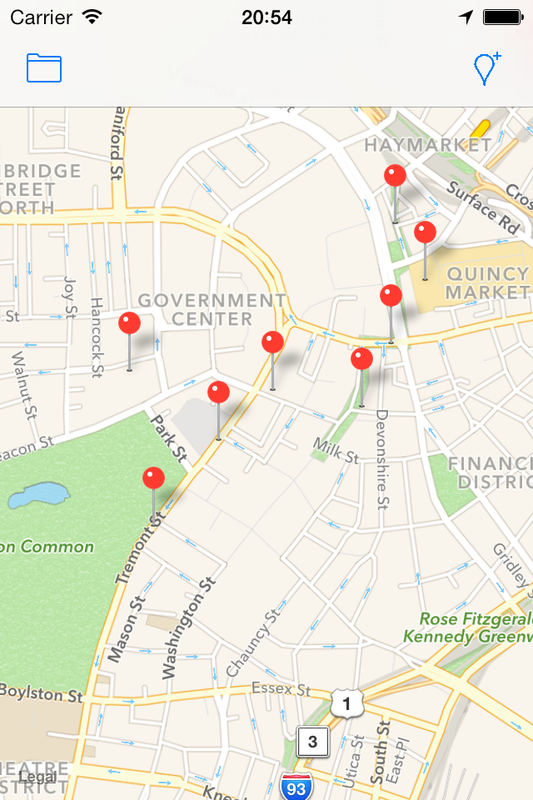 Serving as the app’s data model by providing a filterable list of locations via filteredObjects. Communicating with the server by loading and saving items via import, persist and query. Houses allCategories which provides the master list of categories. You can also add additional categories to its array. 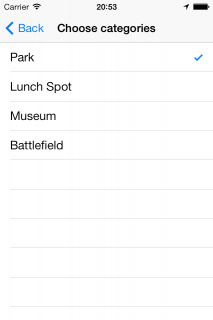 Provides a list of all categories in the active set of locations. Filters the locations by categories. The most important bits of information are the URL and request headers. The URL is simply the result of concatenating the base URL with the “locations” collections. You’re using GET since you’re reading data from the server. GET is the default method so it’s not necessary to specify it here, but it’s nice to include it for completeness and clarity. The server code uses the contents of the Accept header as a hint to which type of response to send. By specifying that your request will accept JSON as a response, the returned bytes will be JSON instead of the default format of HTML. Here you create an instance of NSURLSession with a default configuration. A data task is your basic NSURLSession task for transferring data from a web service. There are also specialized upload and download tasks that have specialized behavior for long-running transfers and background operation. A data task runs asynchronously on a background thread, so you use a callback block to be notified when the operation completes or fails. The completion handler checks for any errors; if it finds none it tries to deserialize the data using a NSJSONSerialization class method. Assuming the return value is an array of locations, parseAndAddLocations: parses the objects and notifies the view controller with the updated data. Oddly enough, data tasks are started with the resume message. When you create an instance of NSURLSessionTask it starts in the “paused” state, so to start it you simply call resume. You iterate through the array of JSON dictionaries and create a new Location object for each item. Here you use a custom initializer to turn the deserialized JSON dictionary into an instance of Location. The model signals the UI that there are new objects available. Working together, these two methods let your app load the data from the server on startup. import relies on NSURLSession to handle the heavy lifting of networking. For more information on the inner workings of NSURLSession, check out the NSURLSession on this site. Unfortunately, loading locations from an empty database isn’t super interesting. Your next task is to implement the ability to save Locations to the database. There are two endpoints for saving an object: /locations when you’re adding a new location, and /locations/_id when updating an existing location that already has an id. The request uses either PUT for existing objects or POST for new objects. The server code calls the appropriate handler for the route rather than using the default GET handler. Because you’re updating an entity, you provide an HTTPBody in your request which is an instance of NSData object created by the NSJSONSerialization class. Instead of an Accept header, you’re providing a Content-Type. This tells the bodyParser on the server how to handle the bytes in the body. The completion handler once again takes the modified entity returned from the server, parses it and adds it to the local collection of Location objects. toDictionary contains a magical macro: safeSet(). Here you check that a value isn’t nil before you assign it to a NSDictionary; this avoids raising an NSInvalidArgumentException. You need this check as your app doesn’t force your object’s properties to be populated. “Why not use an NSCoder?” you might ask. The NSCoding protocol with NSKeyedArchiver does many of the same things as toDictionary and initWithDictionary; namely, provide a key-value conversion for an object. However, NSKeyedArchiver is set up to work with plists which is a different format with slightly different data types. The way you’re doing it above is a little simpler than repurposing the NSCoding mechanism. The starter project already has a mechanism to add photos to a location; this is a nice visual way to explore the data in the app. 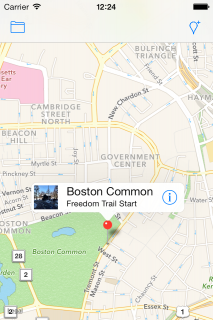 The pictures are displayed as thumbnails on the map annotation and in the details screen. The Location object already has a stub imageId which provides a link to to a stored file on the server. Adding an image requires two things: the client-side call to save and load images and the server-side code to store the images. This module uses the filesystem module fs to read and write to disk. The constructor accepts a reference to the MongoDB database driver to use in the methods that follows. getCollection() looks through the files collection; in addition to the content of the file itself, each file has an entry in the files collection which stores the file’s metadata including its location on disk. get fetches the files collection from the database. Since the input to this function is a string representing the object’s _id, you must convert it to a BSON ObjectID object. findOne() finds a matching entity if one exists. Fetches the file entity from the database via the supplied id. Adds the extension stored in the database entry to the id to create the filename. Stores the file in the local uploads directory. Calls sendfile() on the response object; this method knows how to transfer the file and set the appropriate response headers. save() above is the same as the one in collectionDriver; it inserts a new object into the files collection. getNewFileId() is a wrapper for save for the purpose of creating a new file entity and returning id alone. This returns only _id from the newly created object. handleUploadRequest creates a new object in the file collection using the Content-Type to determine the file extension and returns the new object’s _id. This looks up the value of the Content-Type header which is set by the mobile app. This tries to guess the file extension based upon the content type. For instance, an image/png should have a png extension. This saves Content-Type and extension to the file collection entity. Create a filename by appending the appropriate extension to the new id. The designated path to the file is in the server’s root directory, under the uploads sub-folder. __dirname is the Node.js value of the executing script’s directory. fs includes writeStream which — as you can probably guess — is an output stream. The request object is also a readStream so you can dump it into a write stream using the pipe() function. These stream objects are good examples of the Node.js event-driven paradigm. 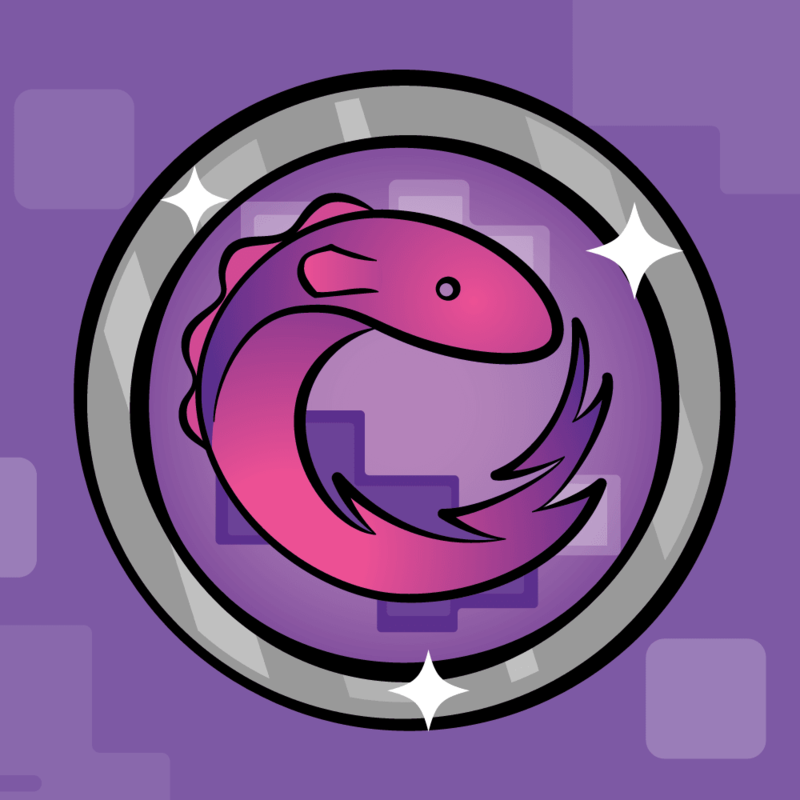 on() associates stream events with a callback. In this case, the readStream’s end event occurs when the pipe operation is complete, and here the response is returned to the Express code with a 201 status and the new file _id. If the write stream raises an error event then there is an error writing the file. The server response returns a 500 Internal Server Error response along with the appropriate filesystem error. This creates an instance of your new FileDriver. Putting this before the generic /:collection routing means that files are treated differently than a generic files collection. Your server is now set up to handle files, so that means you need to modify your app to post images to the server. The Location class has two properties: image and imageId. imageId is the backend property that links the entity in the locations collection to the entity in the files collection. If this were a relational database, you’d use a foreign key to represent this link. image stores the actual UIImage object. Saving and loading files requires an extra request for each object to transfer the file data. The order of operations is important to make sure the file id is property associated with the object. When you save a file, you must send the file first in order to receive the associated id to link it with the location’s data. The URL is the files endpoint. Using POST triggers handleUploadRequest of fileDriver to save the file. Setting the content type ensures the file will be saved appropriately on the server. The Content-Type header is important for determining the file extension on the server. UIImagePNGRepresentation turns an instance of UIImage into PNG file data. NSURLSessionUploadTask lets you send NSData to the server in the request itself. For example, upload tasks automatically set the Content-Length header based on the data length. Upload tasks also report progress and can run in the background, but neither of those features is used here. The response contains the new file data entity, so you save _id along with the location object for later retrieval. Once the image is saved and _id recorded, then the main Location entity can be saved to the server. If there is an image but no image id, then the image hasn’t been saved yet. Call the new method to save the image, and exits. Once the save is complete, persist:will be called again, but at that point imageId will be non-nil, and the code will proceed into the existing procedure for saving the Location entity. Just like when loading a specific location, the image's id is appended to the path along with the name of the endpoint: files. The download task is the third kind of NSURLSession; it downloads a file to a temporary location and returns a URL to that location, rather than the raw NSData object, as the raw object can be rather large. The temporary location is only guaranteed to be available during the completion block's execution, so you must either load the file into memory, or move it somewhere else. Like all NSURLSession tasks, you start the task with resume. This updated version of parseAndAddlocations checks for an imageId; if it finds one, it calls loadImage:. To summarize: file transfers in an iOS app work conceptually the same way as regular data transfers. The big difference is that you're using NSURLSessionUploadTask and NSURLSessionDownloadTask objects and semantics that are slightly different from NSURLSessionDataTask. On the server side, file wrangling is a fairly different beast. It requires a special handler object that communicates with the filesystem instead of a Mongo database, but still needs to store some metadata in the database to make retrieval easier. Special routes are then set up to map the incoming HTTP verb and endpoint to the file driver. You could accomplish this with generic data endpoints, but the code would get quite complicated when determining where to persist the data. 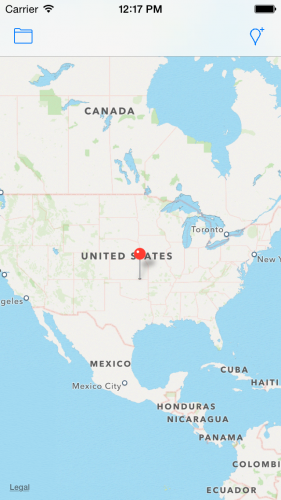 Build and run your app and add a new location by tapping the button in the upper right. 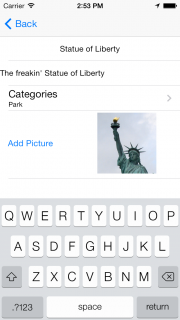 As part of creating your new location, add an image. 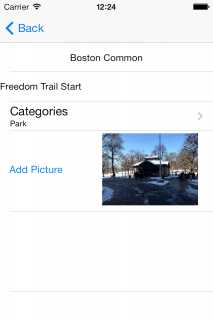 Note that you can add images to the simulator by long-pressing on pictures in Safari. 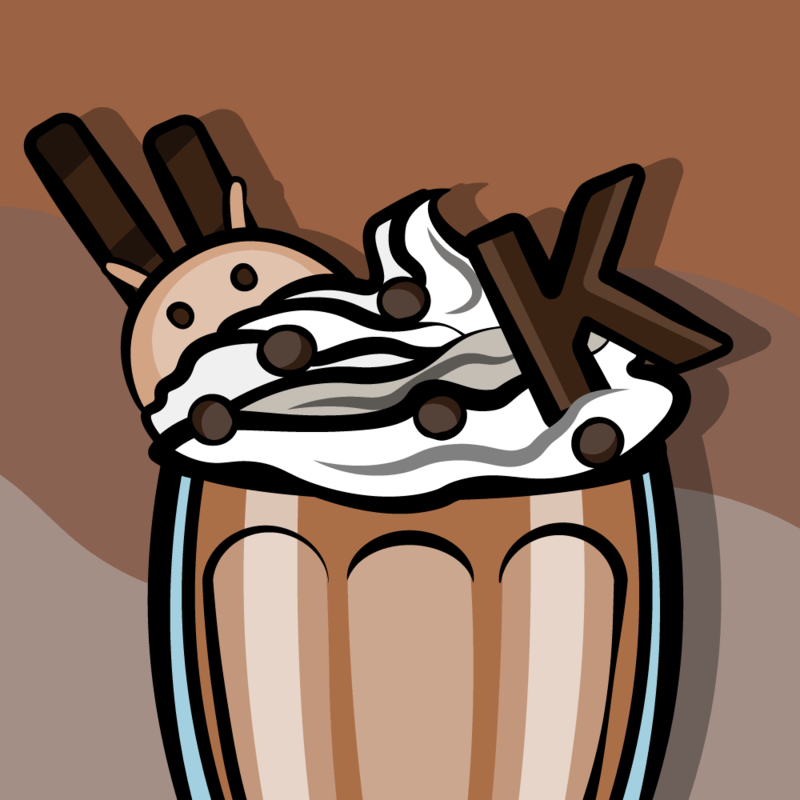 Adding an image to a Location in Tour My Town. 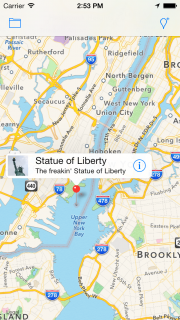 Location annotation with an image. Your ultra-popular Tour My Town app will collect a ton of data incredibly quickly after it's released. To prevent long wait times while downloading all of the data for the app, you can limit the amount of data retrieved by using location-based filtering. This way you only retrieve the data that's going to be shown on the screen. 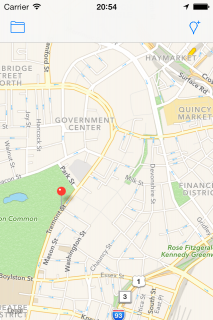 The geospatial querying of MongoDBis a natural fit with a map-based application. You can use the extents of the map view to obtain only the subset of data that will be shown on the screen. Your next task is to modify collectionDriver.js to supply filter criteria with a GET request. query is similar to the existing findAll, except that it has a query parameter for specifying the filter criteria. You fetch the collection access object just like all the other methods. CollectionDriver's findAll method used find() with no arguments, but here the query object is passed in as an argument. This will be passed along to MongoDB for evaluation so that only the matching documents will be returned in the result. If a query was supplied to the endpoint, call collectionDriver.query()returnCollectionResults is a common helper function that formats the output of the request. If no query was specified, then collectionDriver.findAll returns all the items in the collection. Since returnCollectionResults() is evaluated at the time it is called, this function returns a callback function for the collection driver. If the request specified HTML for the response, then render the data table in HTML; otherwise return it as a JSON document in the body. 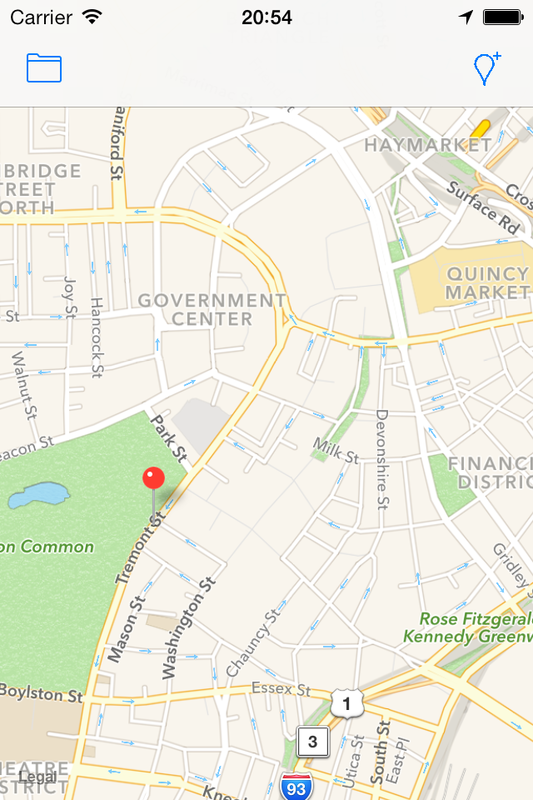 Now that the server is set up for queries, you can add the geo-querying functions to the app. //note assumes the NE hemisphere. This logic should really check first. These four lines calculate the map-coordinates of the two diagonal corners of the bounding box. This defines a JSON structure for the query using MongoDB's specific query language. A query with a $geoWithin key specifies the search criteria as everything located within the structure defined by the provided value. $box specifies the rectangle defined by the provided coordinates and supplied as an array of two longitude-latitude pairs at opposite corners. boxQuery just defines the criteria value; you also have to provide the search key field along boxQuery as a JSON object to MongoDB. You then escape the entire query object as it will be posted as part of a URL; you need to ensure that that internal quotes, brackets, commas, and other non-alphanumeric bits won't be interpreted as part of the HTTP query parameter. CFURLCreateStringByAddingPercentEscapes is a CoreFoundation method for creating URL-encoded strings. The final piece of the string building sets the entire escaped MongoDB query as the query value in the URL. You then request matching values from the server with your new query. Note: In MongoDB coordinate pairs are specified as [longitude, latitude], which is the opposite of the usual lat/long pairing you'd see in things like the Google Maps API. You add the query string generated in queryRegion: to the end of the locations endpoint URL. You also discard the previous set of locations and replace them with the filtered set returned from the server. This keeps the active results at a manageable level. Debugger output while panning and zooming map. 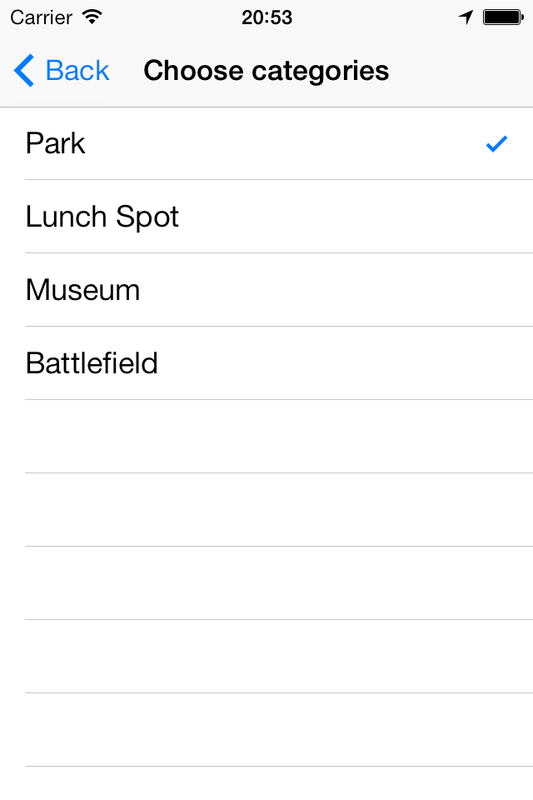 The last bit to add categories to your Locations that users can filter on. This filtering can re-use the server work done in the previous section through the use of MongoDB’s array conditional operators. This is the list of selected categories. The $in operator accepts a MongoDB document if the specified property categories has a value matching any of the items in the corresponding array. You can download the completed sample project here. In this tutorial you covered the basics of MongoDB storage — but there's a ton of functionality beyond what you covered here. MongoDB offers a multitude of options for selecting data out of the database; as well there are a host of server-side features to manage scaling and security. As well, your Node.js installation could definitely be improved by adding user authentication and more privacy around the data. Additionally, every decent networked app should cache data locally so it remains functional when data connections are spotty. Hopefully you've enjoyed this small taste of Node.js, Express and MongoDB — if you have any questions or comments please come join the discussion below!